Rose gold has gone in and out of fashion over the years, but these days it’s everywhere: rose gold jewelry, fashion items, housewares, and even mimicked in mobile phones. Rose gold is eye-catching and the perfect answer if you’re looking for wedding rings that reflect your individuality. It might not be a classic or traditional item like yellow gold just yet, but it’s definitely a style staple. Why Rose Gold Wedding Rings? There are lots of different shades of rose. 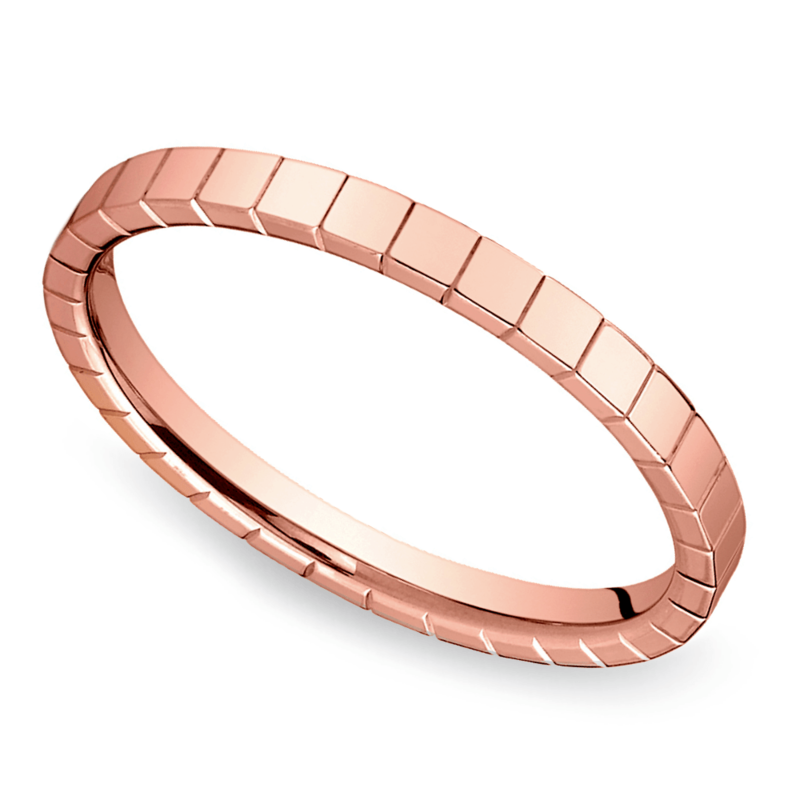 Rose gold is produced by mixing yellow gold with copper. Tweaking the balance can cause the ring to look richer in color or lighter, so you can choose the shade that you like best. The more copper the ring contains, the redder it will be. If the ring contains a higher karat of gold, this means its rosy color will be a lighter shade. It’s affordable. Because lower karat alloys are more rose in color, it makes rose gold much more budget-friendly without skimping on its beauty. This has another bonus: it makes rose gold much more durable. Rose gold works with different styles. Whether your wedding fashion is vintage or something more contemporary, rose gold complements it. Rose gold is beautiful on a vintage diamond engagement ring or with a modern design. Rose gold suits men too, creating fresh and fashionable appeal. When it comes to diamonds, there’s something special about the combination of rose gold and sparkly stones. The metal makes the diamonds look warm and bright against its rosy hue. The color also works to complement colored stones exceedingly well. Why Not Rose Gold Wedding Rings? Rose gold can cause allergies. 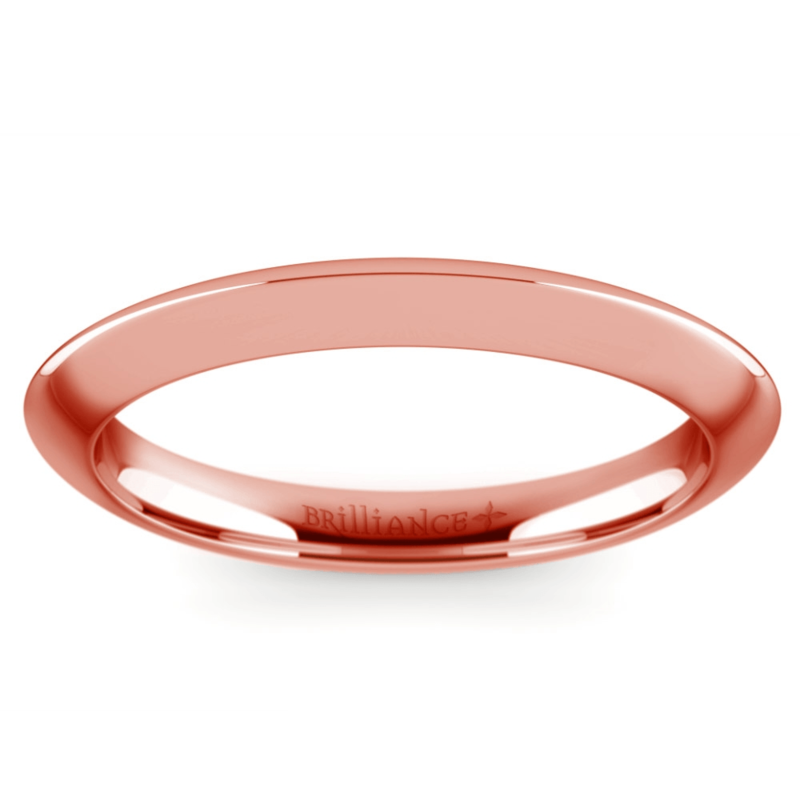 Since they contain different metals and copper, rose gold rings can cause skin sensitivity or allergic reactions. Find out what metals you’re allergic to and then always ask your jeweler about the metals used in their rose gold rings. Rose gold is not for everyone. Although it is more unique than yellow gold or the silver tones of white gold and platinum, you still have to consider your partner’s style before choosing rose gold wedding rings. If your partner loves romantic, feminine styles of jewelry, then rose gold can be a good choice. If, on the other hand, they like traditional gold or ultra-modern platinum, then perhaps rose gold should not be the main attraction in their ring. Rose gold doesn’t complement all skin tones. If you have a warm undertone, then rose gold will make you look radiant. A cooler skin tone tends to look better in platinum and silver. To find your skin’s undertone, take a white towel and hold it against your face when you’re makeup-free. If your skin looks peach/yellow, you have a warm undertone; if it looks pink/blue, you have a cool undertone. Rose gold wedding rings are a gorgeous way to declare your love. 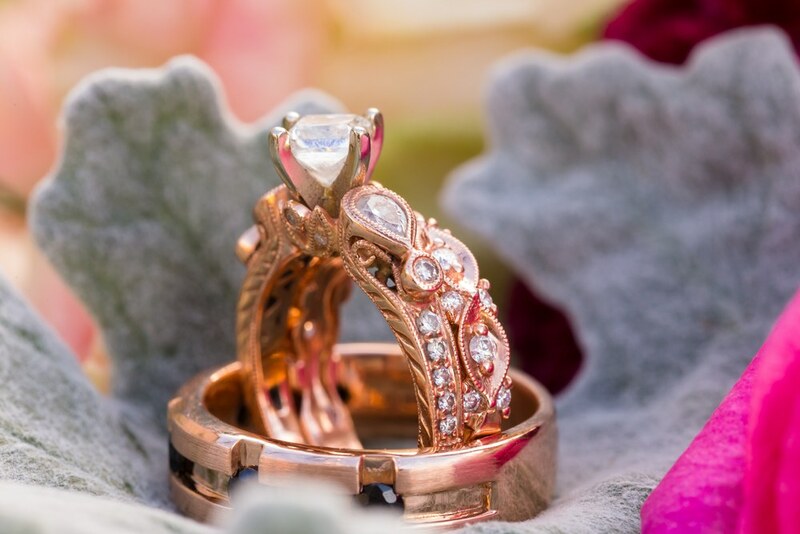 Consider these tips to decide if a rose gold engagement ring or wedding rings are right for you and your partner, and you may find that their sense of creativity and romance is perfect for starting your journey as a married couple.